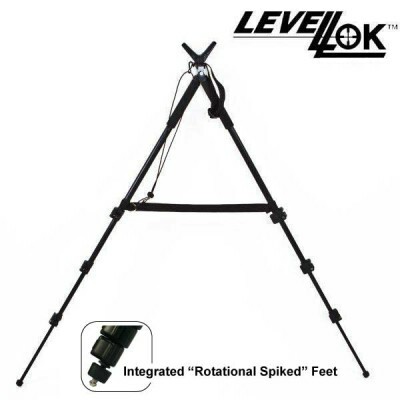 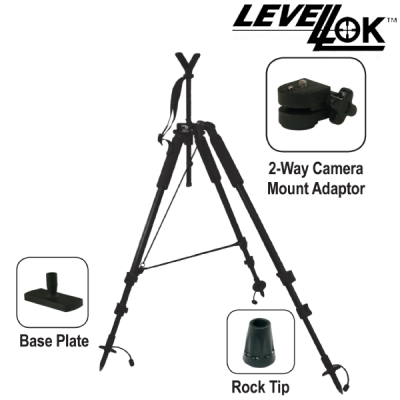 LevelLok three section hiking stick Black with compass, shoe mount, two position handle, wrist strap and mud/snow basket. 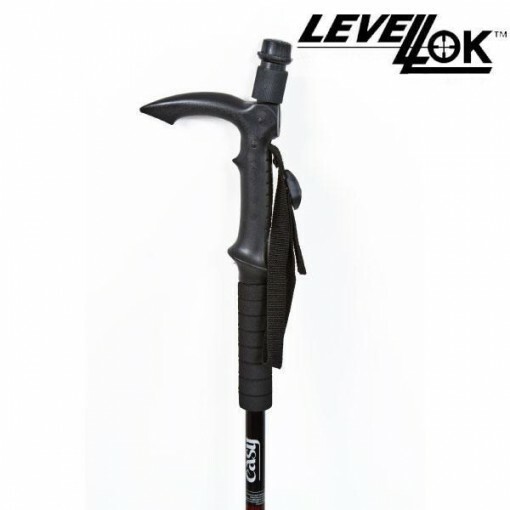 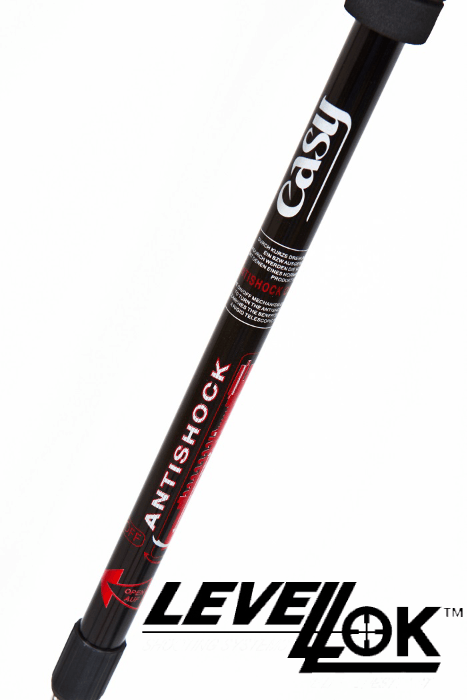 The LevelLok Hiking Stick is a durable light-weight 2 sectioned walking stick with twist cams. 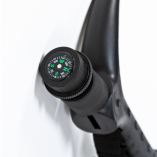 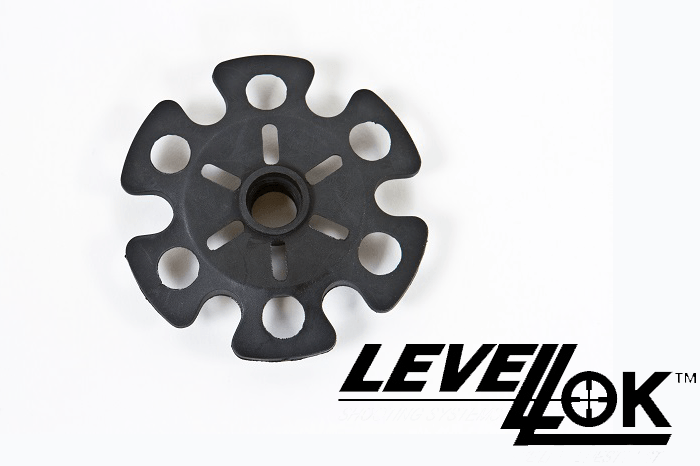 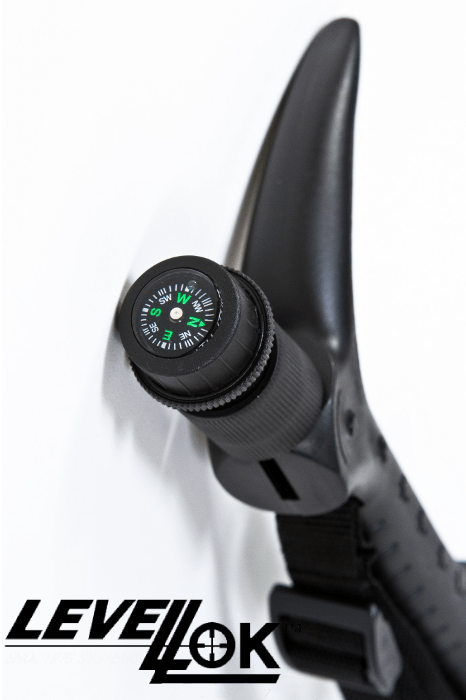 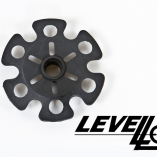 The handle pivots 90 degrees for comfort in either position and also has a built in compass to navigate out in the woods. 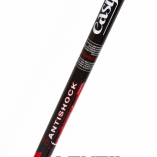 It also includes a rock-tip that removes to expose a ski tip which allows you to use it as a ski pole with the removable mud/snow-basket. 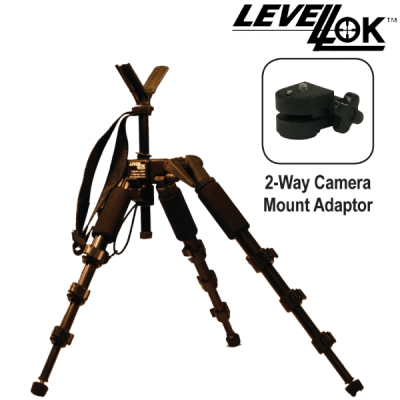 It has durable nylon wrist strap and when the compass is removed it has an exposed ¼ thread ball head to attach a camera or binoculars.